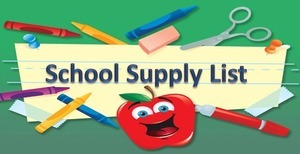 Arcola Elementary will need recess supervisors for the upcoming school year. The hours would be 11:00-12:40. 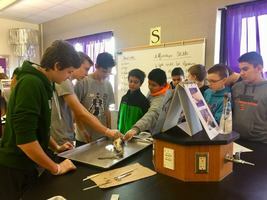 If interested, contact Mrs. Gentry at 217-268-4961 or agentry@arcolaschools.com. 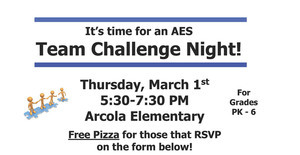 Arcola Elementary School Team Challenge Night - Thursday March 1st - 5:30 - 7:30 PM. FREE pizza to those that RSVP. 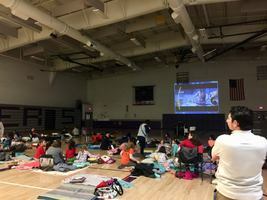 Family Movie Night 2018...Thank you for joining us!